Luxury homes that have been on the market before summer should come off being for sale in the summer. Why? They become stale; the listings show “days on the market” and they become too many days without an offer. Thus they become less desirable and certainly not the first one buyers would check out when doing their home search. Most luxury Catalina Foothills homes would do better not being on the market in the summer. That means homes over 700K should consider waiting until fall or even better, winter, to put their homes back on the market. The longer the house has shown for sale the more negotiable the buyers feel the Sellers will be. We have not seen a home go under contract for almost 4 months! 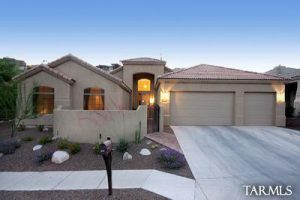 Summer usually is the slowest time for home sales in the Catalina Foothills unless you have a two-story home; this is because two-story homes attract more families with school-aged children that prefer to move in the summer between school sessions. There are currently 7 homes for sale and are priced between 359K and 928K. Prices run like this: 4 for sale between 359K and 389K and then we move up to the semi-custom homes that are priced at 675K and 799K and then to the highest price ridge-top custom home at 928K. If you would like to view some of these homes or are contemplating selling your home, contact me at Donna@DonnaAnderson.com or call me at 520-615-2598. Let my 30+ years of experience work for you! 4299 N Ocotillo Canyon Drive has a three car garage with a popular floorplan List Priced at 360K – marketed by Omni Homes International. This 2,236 square foot home has 3 bedrooms and a sitting room off the master which can be converted to a fourth bedroom. Additionally it has a custom front courtyard and a spa on the rear patio. You are currently browsing the Sabino Mountain Blog blog archives for July, 2017.